It’s been a while since I did a recent purchases post and I haven’t really shared with you guys what i’ve been purchasing recently so I thought it was about time. This is kind of like a collective haul post, but i’ve purchased all these things over a longer period of time from a bunch of different places! I’m just going to crack on with this as i’ve got quite a lot of stuff to get through. The first thing is this Cooperative Pinafore Dress, which I actually got from Urban Outfitters but unfortunately it’s no longer available online. I thought this was so cute, with the pocket detail on the front and would look so cute with knit jumpers underneath during the winter. 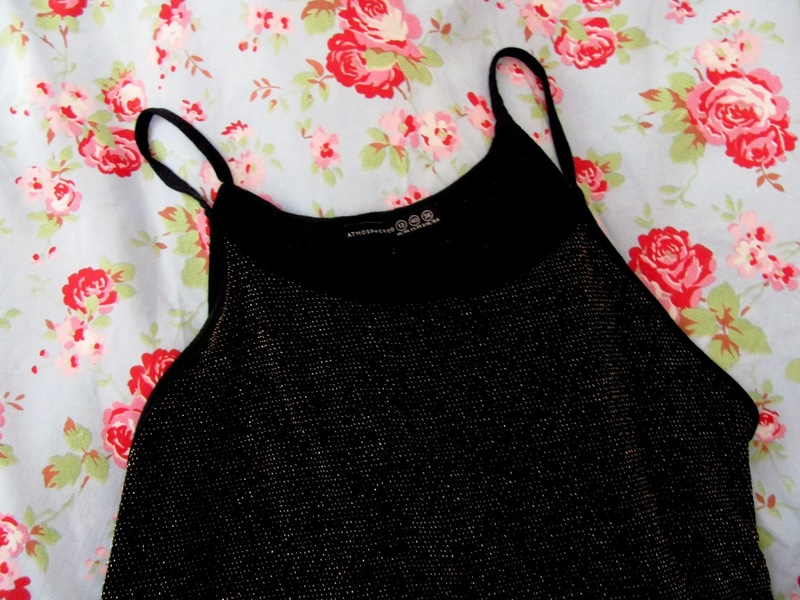 Next up is this Primark Sparkly Cami Top, which surprisingly is the only thing i’ve purchased from Primark recently. I thought it would be super cute to wear in the coming festive months or maybe on a night out with leggings or disco pants. 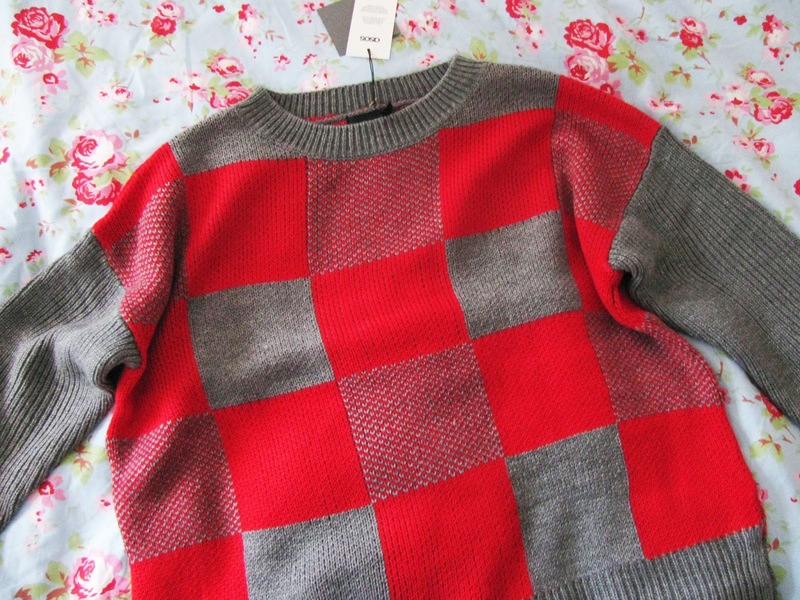 The next two items are from ASOS, the first being this Check Jumper i’m really liking the check trend at the moment and I thought this was super cute. Continuing with the check trend, I also ordered this Check Scarf which i’m not sure about at the moment, I might send this back but it was only £12 – pretty decent seeing as some check scarves are selling for a wopping £40! 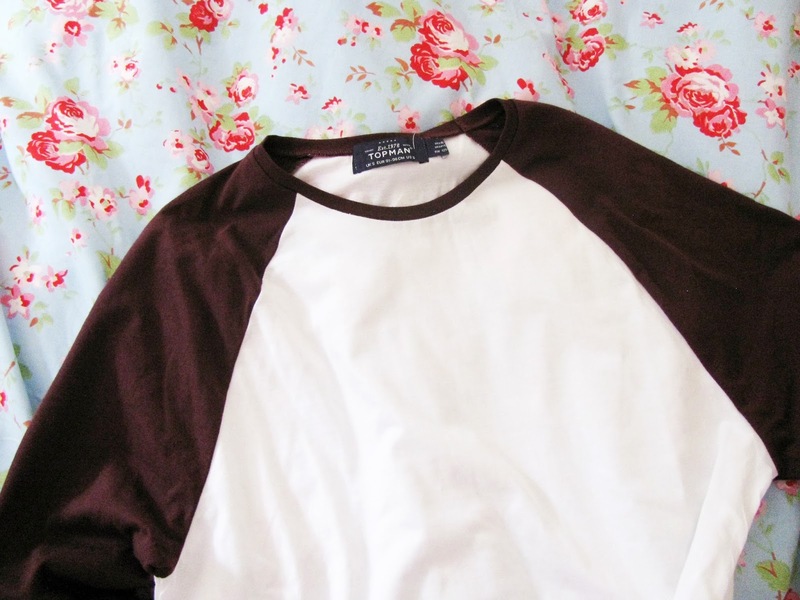 Next up are a few pieces from Topshop, the first item I picked up is this Topman Raglan T-Shirt. I’ve been wanting a t-shirt like this for ages and when I saw this in Topman I had to have it. The next two item’s i’ve recently picked up from Topshop are the MOM Jeans, which I have literally been living in. The first pair is an acid wash, now these are actually a lot darker looking on the website which is a little annoying but they’re still really nice. The second pair are just a black wash pair as I live in black jeans during the winter and I thought a black pair were needed. The next item from Topshop is this cute Pink Fluffly Sweater, which I bought yesterday with some gift vouchers I had. Now I haven’t really been a fan of the powder pink coats everyone is rocking, but when I saw this I knew it was a perfect way for me to embrace this trend. Clothes out of the way, now onto a few beauty bits i’ve picked up recently. The first two products are both new releases from Bourjois’ Happy Light range and i’m loving this brand at the moment. I picked up their Happy Light Matte Serum Primer and their Happy Light Foundation. I’m pretty excited to give these a whirl and don’t worry I will be reviewing them. Also, these are currently on offer as an introductory offer, so make sure you take full advantage of this offer! Next is two products from Topshop’s makeup range, the first the Topshop ‘Suspect’ Lip Crayon which is another addition to my berry lip shades for a/w that i’m loving at the minute. The second product I picked up is the Topshop ‘Crescent Moon’ Highlighter. Now I already own their Sunbeam Highlighter (review here) but this one looked like a subtle daytime alternative, so i’m looking forward to trying this out. So that is all my recent purchases for now. I do have a few other bits on their way but I thought this post would get far too long if I waited to include them.